Bright and early (very early) we set out for the sunrise hike up Mt. Agung. 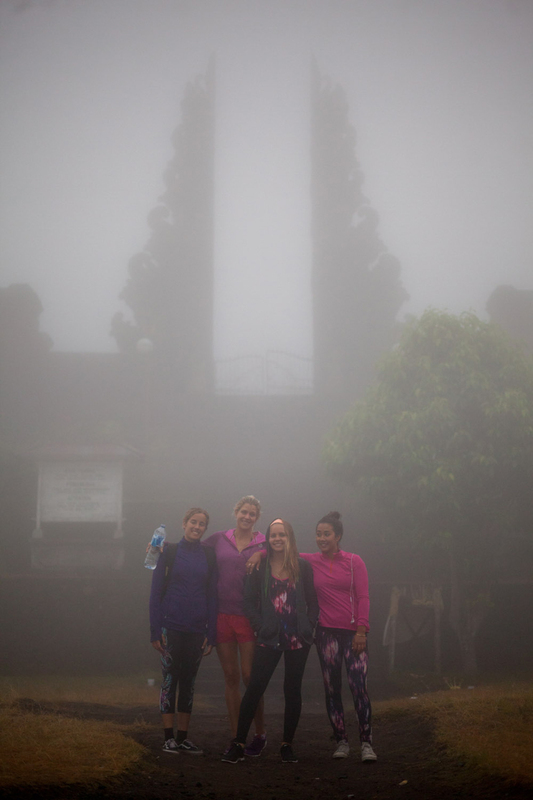 We met at the base of Temple Besakih where we met our tour guides and began our ascent up the mountain. 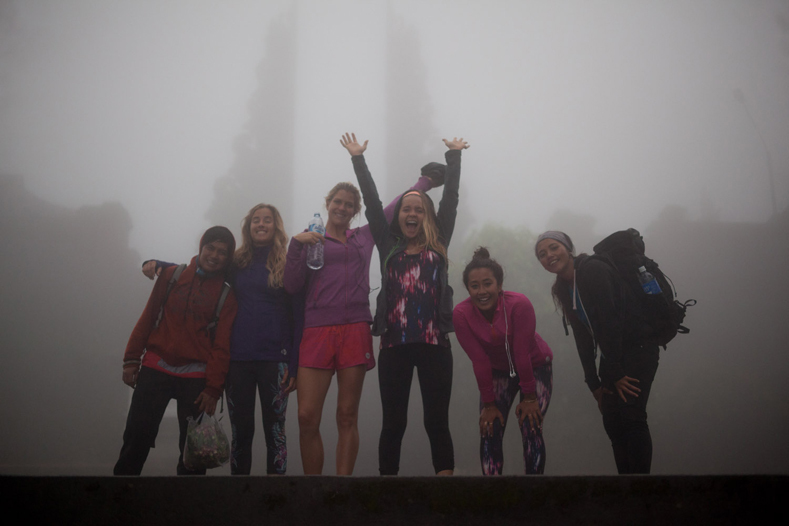 Climbing through the dense jungle of Besakiah and up 1,500 sets of stairs was an early indicator of how steep the trek up the mountain would prove to be. Our rock climbing skills were put to the test, as parts of the hike looked more similar to rock climbing than to hiking. 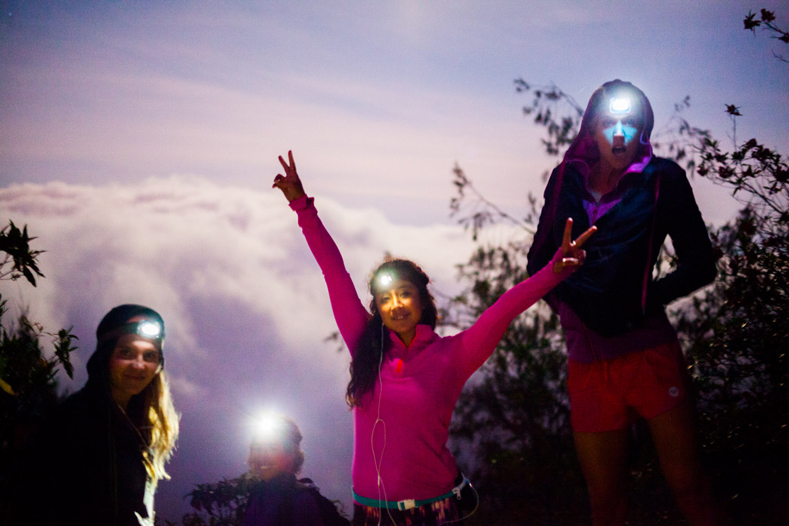 With only a headlamp to guide the way, we were cautious for loose rocks and slippery mud as one wrong step could lead to disaster! 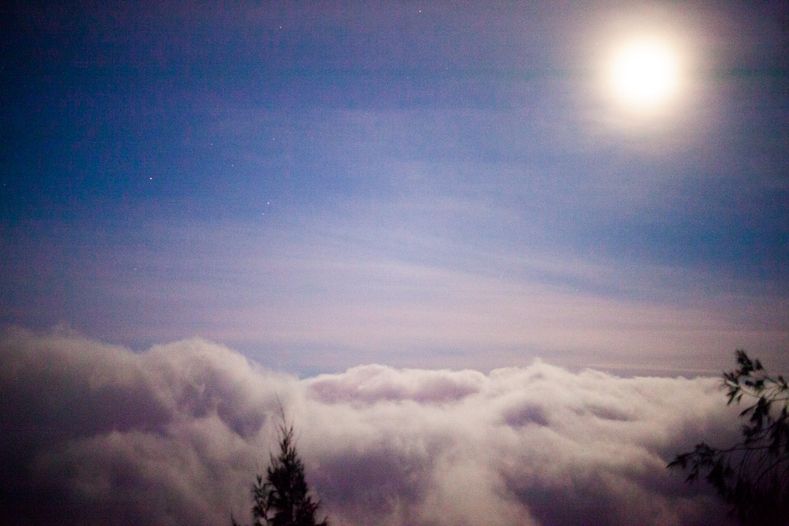 Hiking for three hours straight, we finally made it above the clouds! 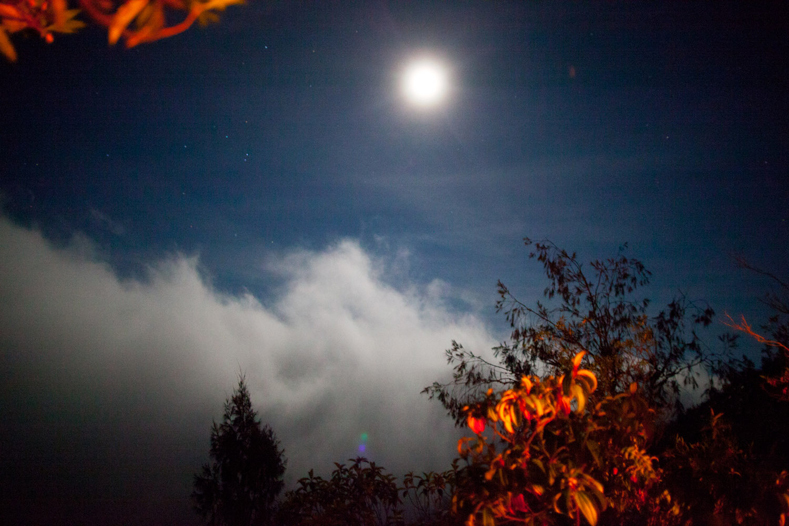 Stopping for a much-needed break, we soaked in the incredible view of the full moon while we rehydrated and refueled while watching the clouds hypnotically float through the sky. Realizing that we were only halfway up the mountain, the sun was already rising and we wouldn’t reach the peak in time for sunrise, we decided to change our plans and set up an impromptu campsite to enjoy a warm fire and a much needed cup of coffee. 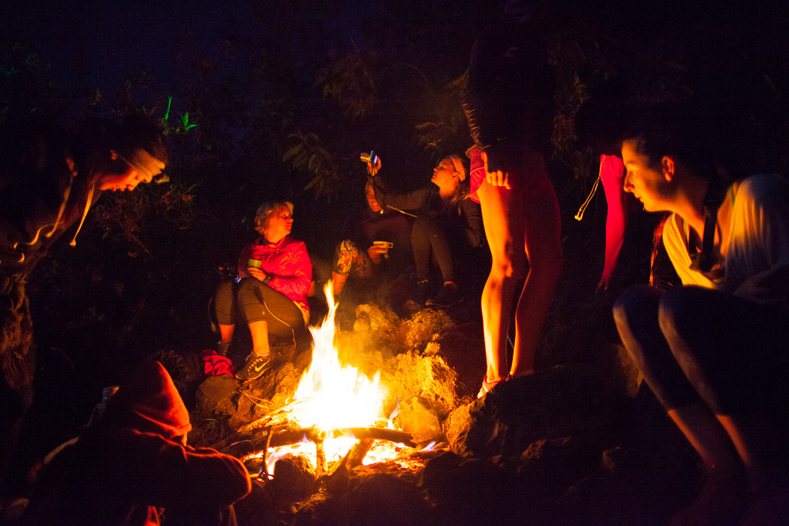 We spent some time warming up near the campfire and we each shared some funny stories about a few close calls during the climb up. As dawn approached, we began our descent down the mountain. We took our time heading down as conditions had quickly changed. The beautiful cloud cover now caused the grounds to become wet and slippery. Making it back to the bottom safely was a bittersweet moment. Exhausted but proud of just how far we managed to climb, we were excited for a few simple pleasures – a full breakfast, a fresh cup of coffee and the promise of not having to hike anything more than the path to our beds!